Had the bike a week so far and had some moderate rain, the water beads on the surface and the bike hasn't got wet at all. I bought the large for a CBF125 and it's the perfect size, reaches down to just a few centimeters ff the floor which is perfect. Will update the review in a few months. UPDATE1: After a month of use, and plenty of heavy rain, i'm very happy with this cover so far! 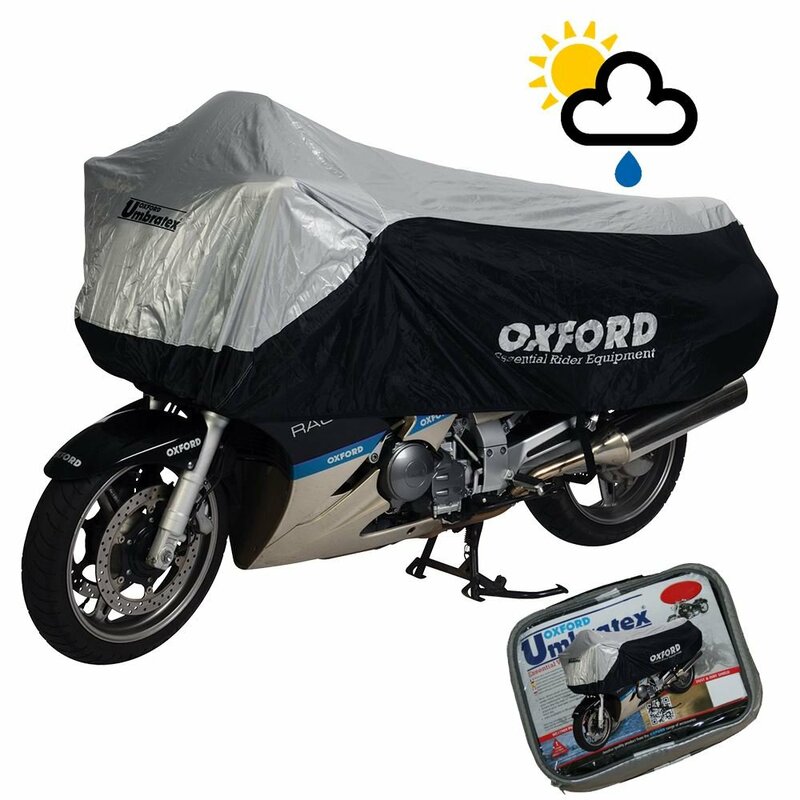 it seems durable, i have chucked it on the bike with the exhaust still warm and the heat resistant liner protected it with zero damage. 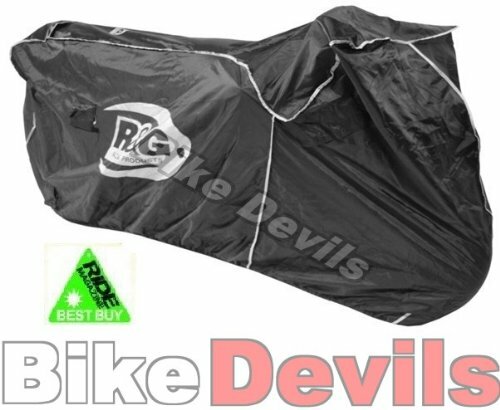 The elastic around the bottom of the cover prevents rain being blow up in to the cover as well as preventing it picking up wind like a kite and pulling the bike over (which i have read of in reviews for other covers!) 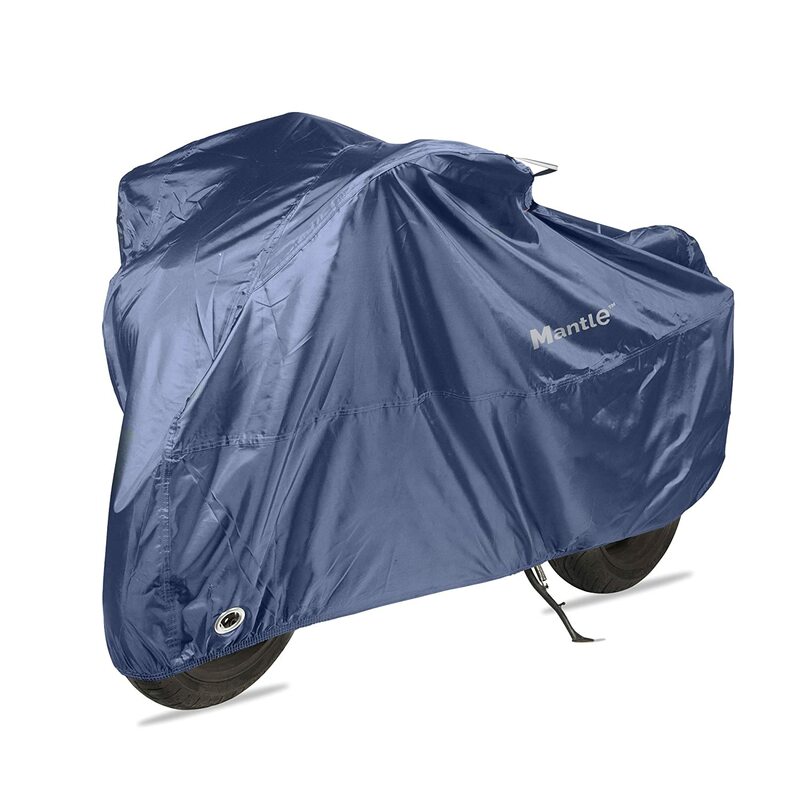 I have also ridden home in the rain and then thrown the cover over the dripping wet bike at it's dry by morning despite the rain, possibly halped by the two vents near the mirrors. 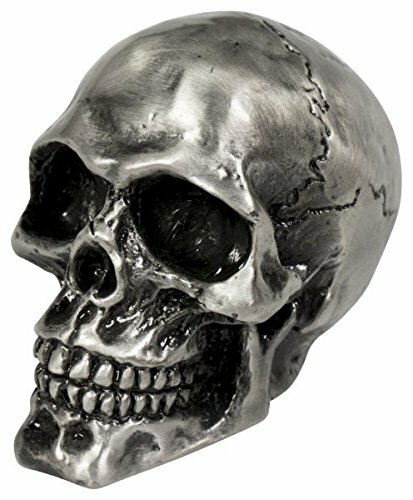 Overall an excellent product so far. The cover looks really smart .Made of good quality waterproof material with firmly stitched joins. Not as warm as some covers at 2 or 3 times the price that I have also tried. I bought two as I was so pleased with the first. This bike is a Smallish Kawasaki ninja 1000cc. 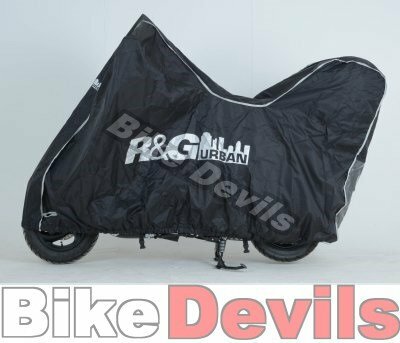 The cover fits well but if you have a larger 1000cc you should try the larger size. Very quick delivery. Good value for money I thought. Bought this cover after reading some good reviews here. I was initially pleased with the cover, as the fit was good and it felt good quality. Sadly after only a few days, when I removed the cover I found my bike soaking wet. This was not condensation, but obvious leakage from the cover. After 30 years of riding, I know what condensation looks like!! I allowed the cover to dry out and then placed it on two chairs in the garden. Then I poured water over it, from a watering can with a fine rose. Found water dripping through the cover, from what looked like the stitching almost straight away. I returned the cover and the seller dealt with a refund very promptly. I decided to give the cover another go, so I ordered another one. Sadly this second cover, another Bike It Moto GP cover, leaks just as bad. 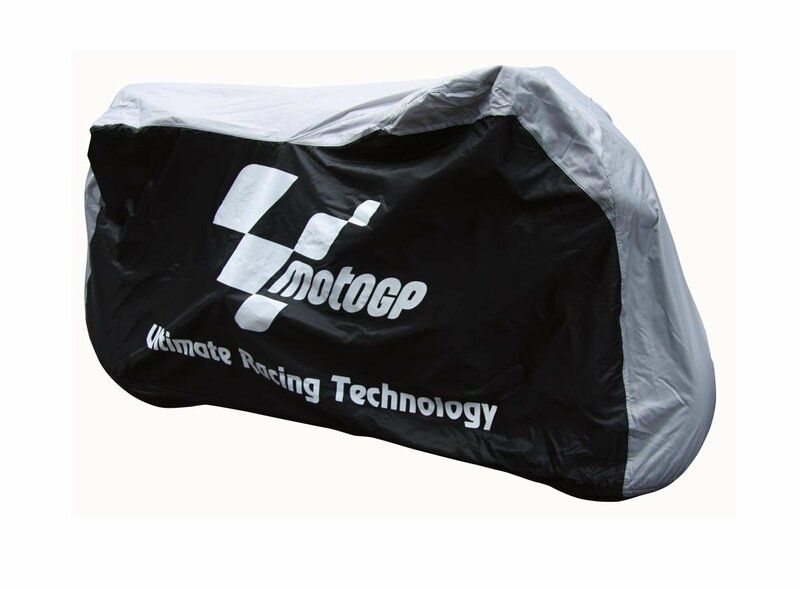 This is a real shame, as the cover fits my SV650 really well and stays put, but simply fails to do what a waterproof cover should do, be waterproof! My advice - try a different cover! 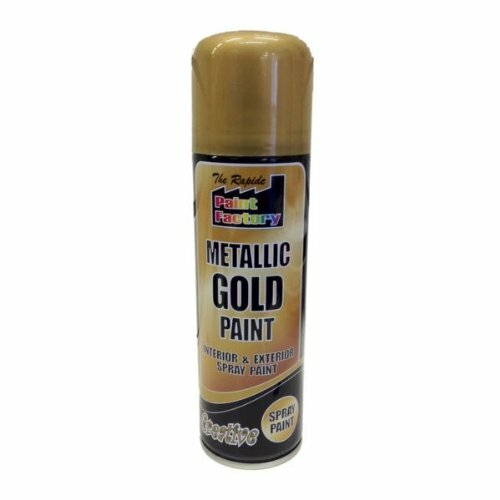 Bought one of these to replace an Oxford Rainex that was getting shabby. 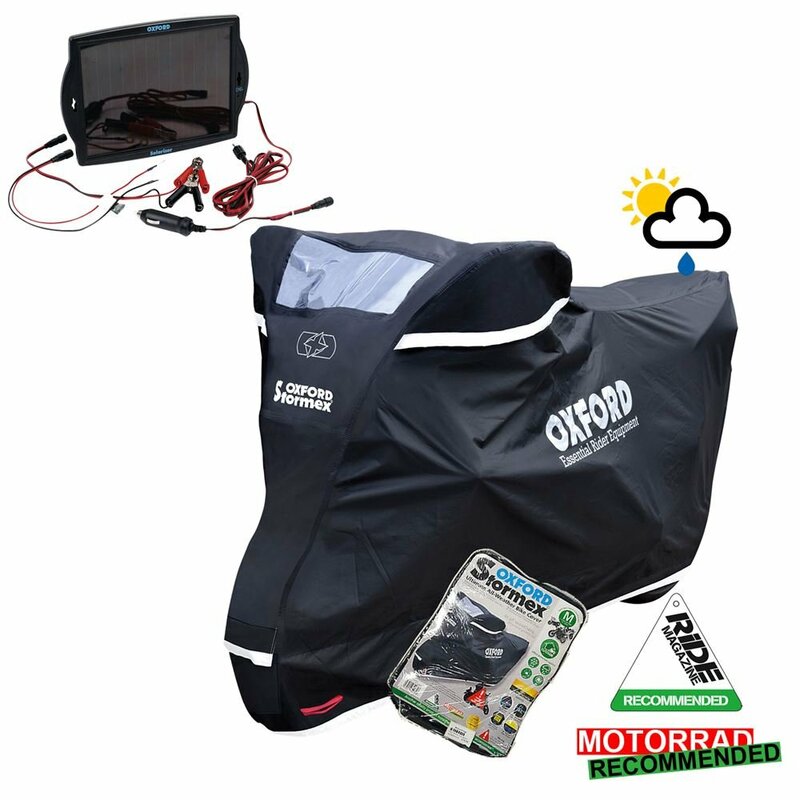 Quality product, with heat protection (straight onto a hot bike albeit raining with no issues), a carry pouch, it is lightweight and seems waterproof. For reference I use it on a 2000 Suzuki GSF600 faired (GSF600 SY) with a standard screen and it is a perfect fit. 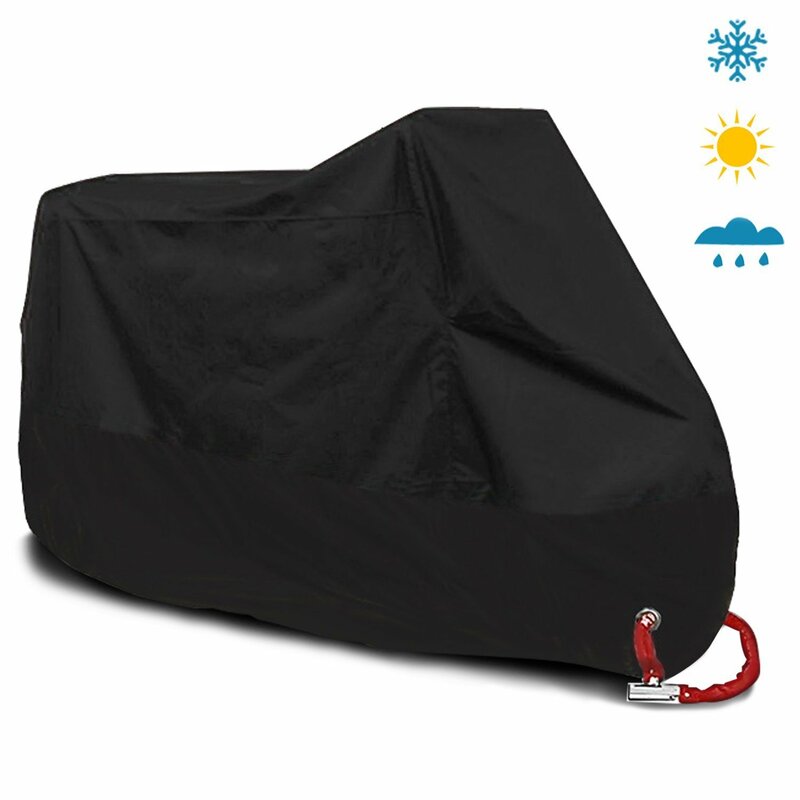 I bought this cover about 10 months ago for a VFR 800 Vtec. It was a tight fit, but it DID fit. However, I have noticed recently that the inner lining has started to shred and has fallen apart. I suspect it is because the cover was stretched so tightly. I do like the cover and will buy the next size up (if one is available). This is a good item but it's too small for my BMW F800gt (not a particularly big bike. I have to fold the wing mirrors in and I've already broken an indicator trying to get it on.